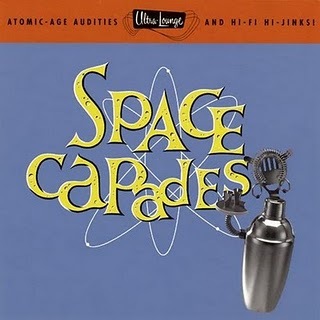 PAUL BISHOP ~ WRITER: LOUNGE CENTRAL: SPACE CAPADES! ANOTHER COOL DOWNLOAD FROM MR. CRAIG OVER AT HIS FUNKY FROLIC BLOG . . . I’VE HAD THIS TITLE AND ALL THE OTHER ULTRA LOUNGE COLUMES IN MY COLLECTION FOR YEARS . . . EACH ONE IS A GEM . . .